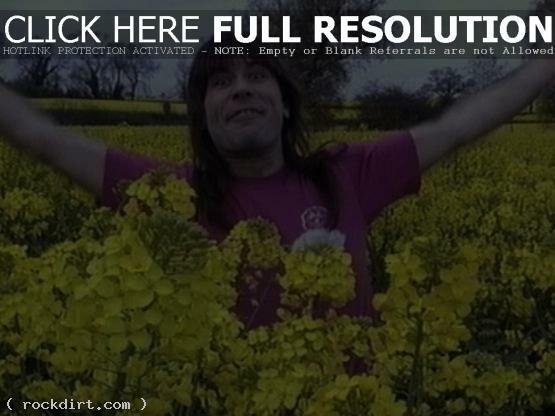 Iron Maiden frontman Bruce Dickinson chatted with Mary Anne Hobbs on Radio 1 on Wednesday. Bruce talked about his experience at Rock In Rio saying, “‘Well it’s dead exciting because you get helicoptered into the place and as you go in at 1am, there’s a quarter of a million people in what looks like something from Close Encounters. There’s an aircraft hanger backstage and a running track and a huge screen with the live feed going out to 100 million people. It was the biggest gig we’d ever done and we were nervous. We were numb, and I came off stage completely exhausted – mentally and emotionally. Like a trance and I don’t know if I could do that again. It was a good feeling though.” Audio at bbc.co.uk/radio1 has since been removed.